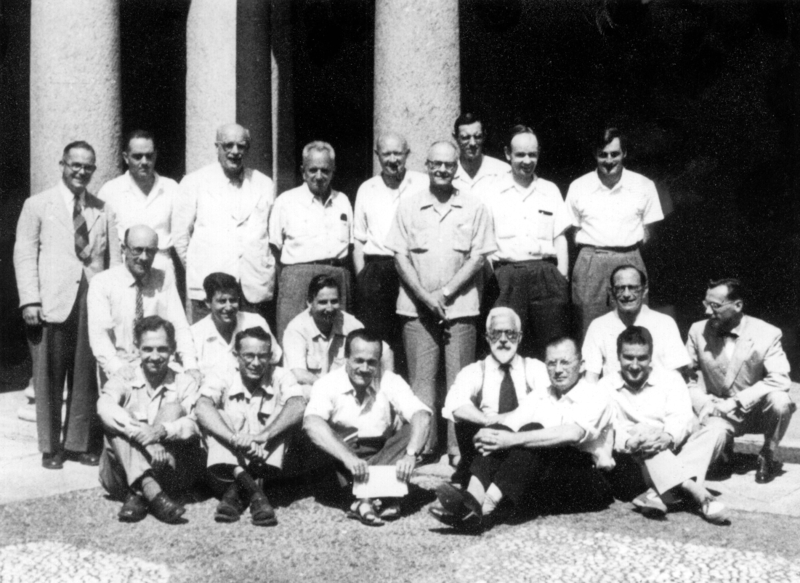 Symposium on Genetics of Population Structure in Pavia, Italy, in 1953. The unidentified one may be Renzo Scossiroli. I have a complete list somewhere and will post it when I find it.